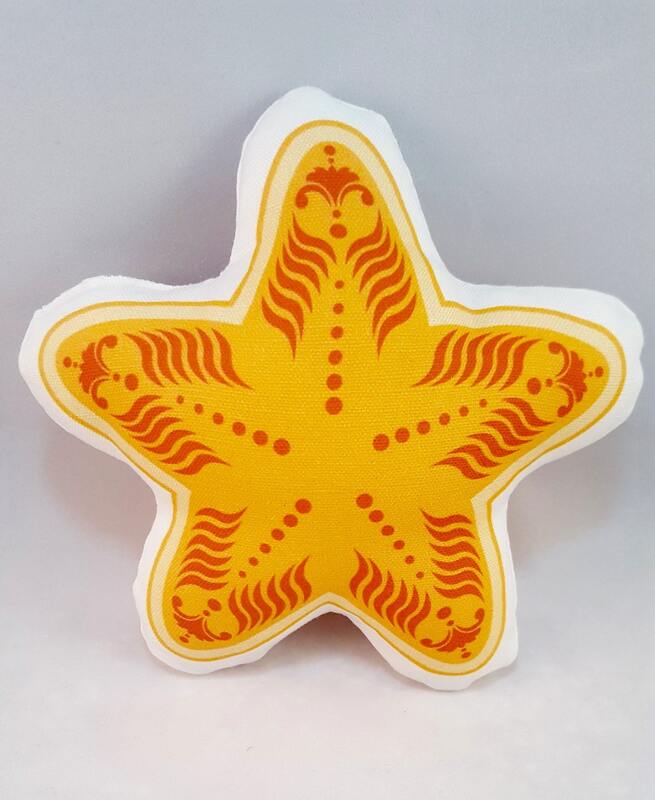 Adorable starfish throw pillow in Orange. 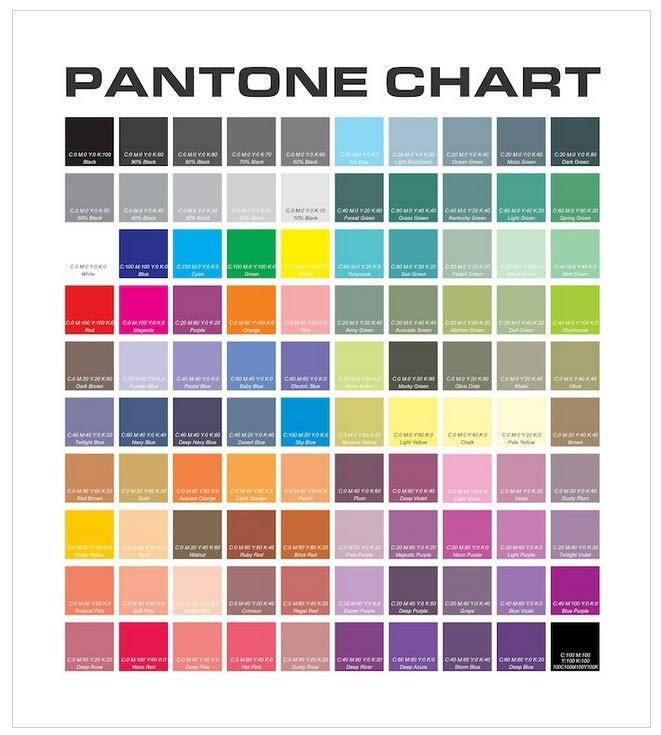 A great baby shower gift. Cute as an accessory for a beach themed room. Each starfish is made of 50/50 cotton/linen blend and filled with polyfil. They are made by hand and measure 15" when complete. 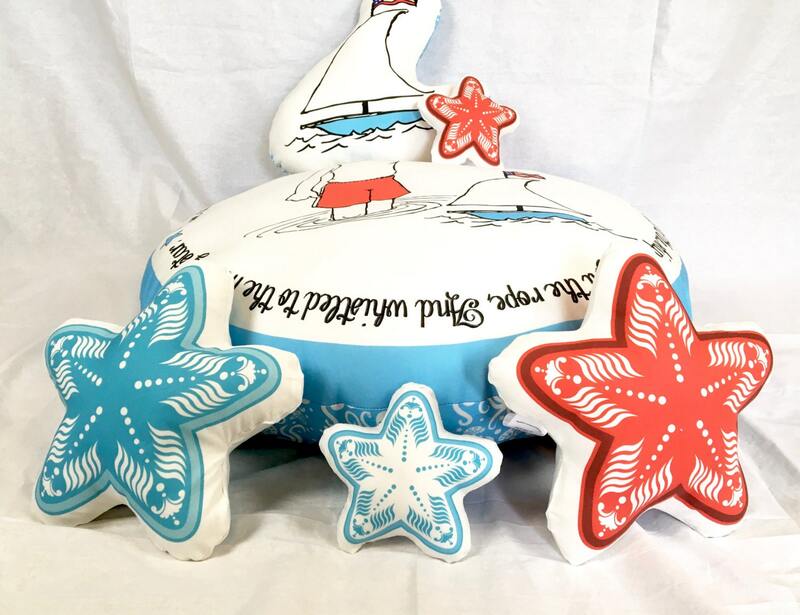 Great as a set with our Summer pouf and sailboat pillow. 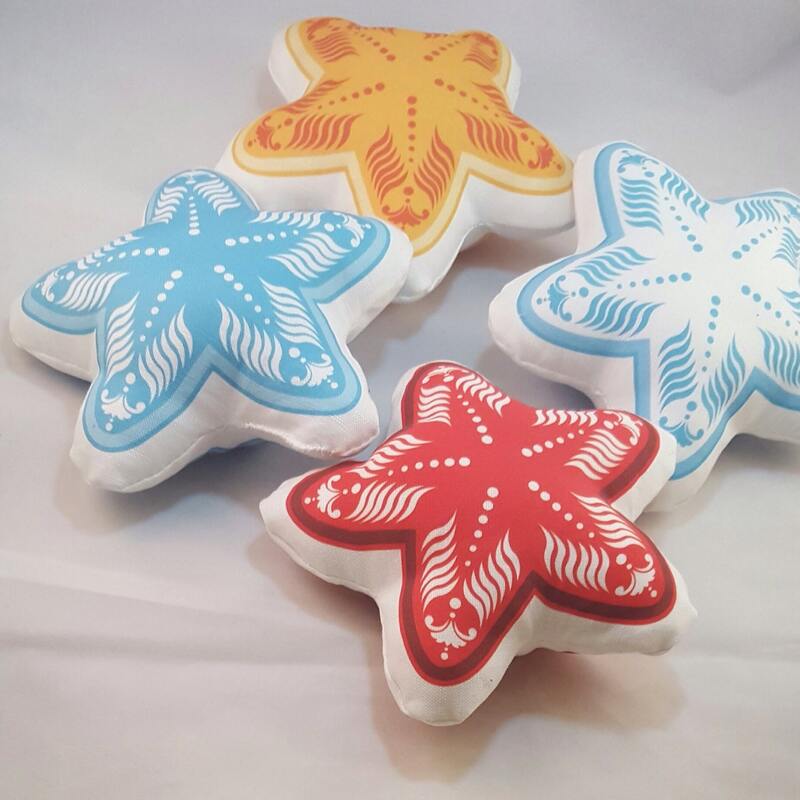 Or use our smaller starfish pillows to accent each other.